Gold prices rallied strongly last Wednesday due to disappointing US employment data which led investors believe the Federal Reserve will delay in presenting the data regarding interest rates. In view of the situation, in Thursday 14 gold prices jumped from $1,213.24 per ounce up to $ 1,227.70 per ounce – the highest level since the February. The continued concerns over Greece, together with the US industrial production data, keep influencing dollar which experienced a 93.45 fall, supporting thus the rise of gold prices. On Friday 15, however, gold prices fell back somewhat from a maximum of $1,220.90 to a minimum of $1,213.32. Conversely, experts highlight a rise in gold bullion prices. At the start of the weekend there was a glimpse of rise up to $1,224.99 per ounce, until gold prices stabilised in $ 1,224.06 giving experts extra time to discuss the week ahead, in which they turn their eyes to the Fed's meeting on Wednesday, and the release of data from the euro zone. The early hours of Monday brought a surprising rise for the gold market with $1,229.53 per ounce though gold prices in charts tended to wax and wane over the course of the day. What was one the stimulus for this growth? The recent issues in Iraq, where one of the most important cities has been taken over by ISIS, have risen the interest in this precious metal as it has involved US. According to Reuters, US warplanes overfly the area, and there have been victims and locals forced to move. On Tuesday 19, from $ 1,225.57 gold prices fell below $1,210, and continued on Wednesday to $1,209.69. Gold investors now expect the future happenings in Greece, Iraq and the Fed, as they head the list of most influencing factors this time. 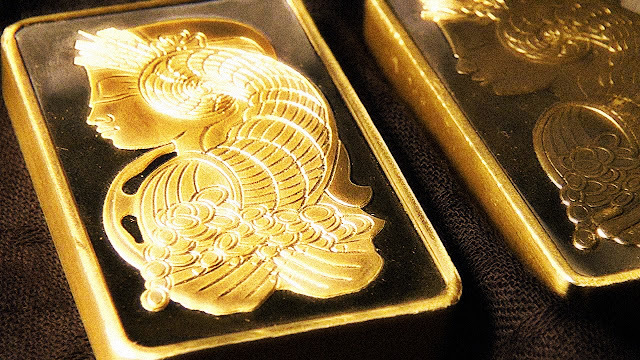 The clients of Emgoldex have been able to benefit from gold prices grow, and they will be able to do that in future as they buy investment gold bars under the most profitable conditions in the online store, with which they create gold reserves, that guarantees them an economically stable future! Share this piece of news and let everybody know the best opportunity to buy gold!